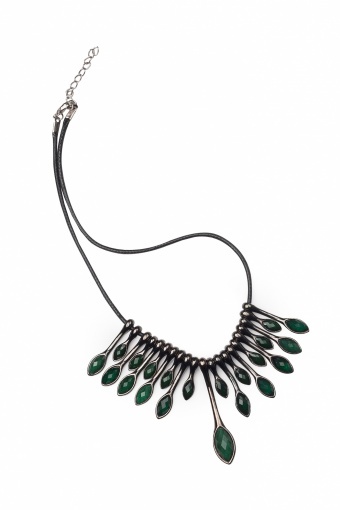 Green Beaded Spoon Tassel necklace. 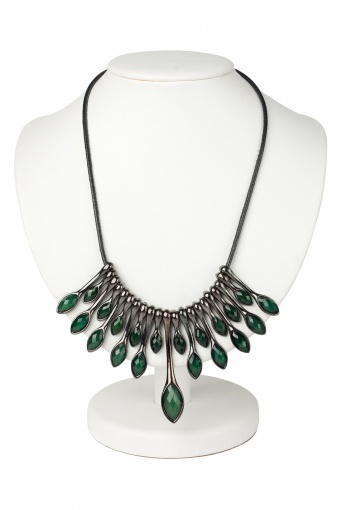 This cute necklace has a great effect! 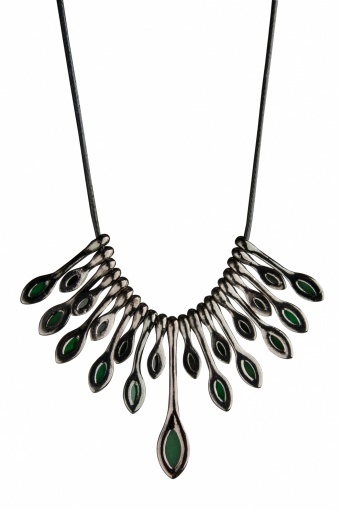 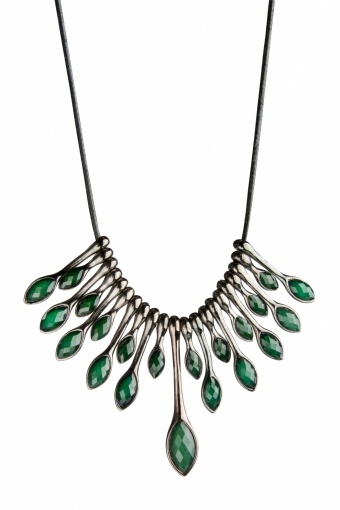 The seperate spoons sit perfectly on your neck and the anthracite toned varnish of the spoons setts of nicely to the green faceted beads.